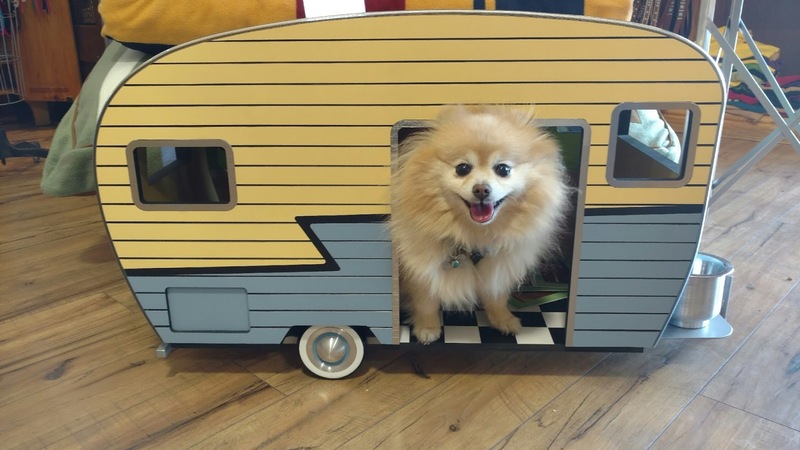 We just received this inspiring story about Sprocket and had to share! Sprocket, this adorable 12 year old Pomeranian, has outlived her prognosis of Hepatic Microvascular Dysplasia by 6 years! 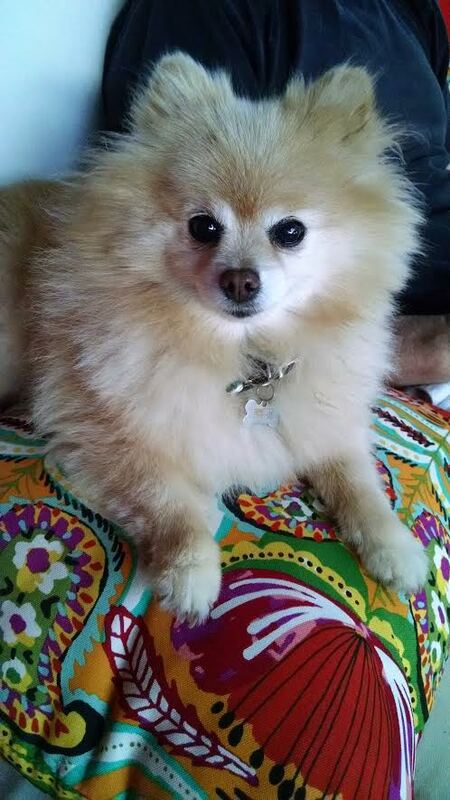 Sprocket's Mom is a dedicated pet parent who used a holistic approach along with conventional veterinary treatments. The veterinarian had projected that Sprocket might survive an additional 2 years when she was diagnosed. Hepatic Microvascular Dysplasia is a genetic liver disorder where small vessels in the liver are abnormally formed hindering blood flow which compromises liver function. Symptoms may not appear until a pet is a few years old and include lethargy, vomiting, loss of appetite and diarrhea. These same symptoms can be seen in other types of liver and gallbladder diseases. Hepatic Microvascular Dysplasia is more common in small breed dogs such as Yorkies, Maltese, Pomeranians, Cairn Terriers, Shih-Tzus and Dachshunds. If your pet is displaying any of these symptoms, please consult your veterinarian. Does your pet have hepatic microvascular dysplasia, elevated liver enzymes, liver shunt or a liver disorder? 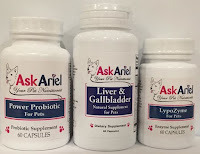 Would you like assistance selecting find the right diet and supplements for your pet? Email the experts at support@askariel.com for assistance. How Can I help My Pet With Liver Disease? Liver disorders can appear at an early age in pets due to congenital reasons (e.g. liver shunt) or later in life (e.g. gallbladder issues and/or elevated liver enzymes). Regardless, pets with liver disorders need a special diet. The diet should be low in fat, reduced protein, high in fiber and hypoallergenic (pets with liver disease can be itchy and especially sensitive to allergens since their liver is working overtime). Adding vegetables such as carrots, green beans and broccoli can be helpful. Also, using diets made with yams vs. grains is also recommended. Due to it's many functions, your cat or dog's liver is highly susceptible to damage. Fortunately, liver disease is a condition that can be well managed, and with proper nutrition and liver support supplements, healthy liver cells can be regenerated. Liver disorders are a type of health condition where pets seem to respond exceptionally well to holistic care. Click here to learn more about elevated liver enzymes and understanding your pet's laboratory tests. Pets with liver disease need a low-fat, high fiber diet with moderate protein. Pets that have liver disease often have allergies because they have difficulty processing and clearing toxins. To minimize the workload on your pet's liver, it is important to avoid high allergen foods such as grains and high allergen proteins. Feeding your pet foods that contain antioxidants such as green vegetables and carrots is helpful. 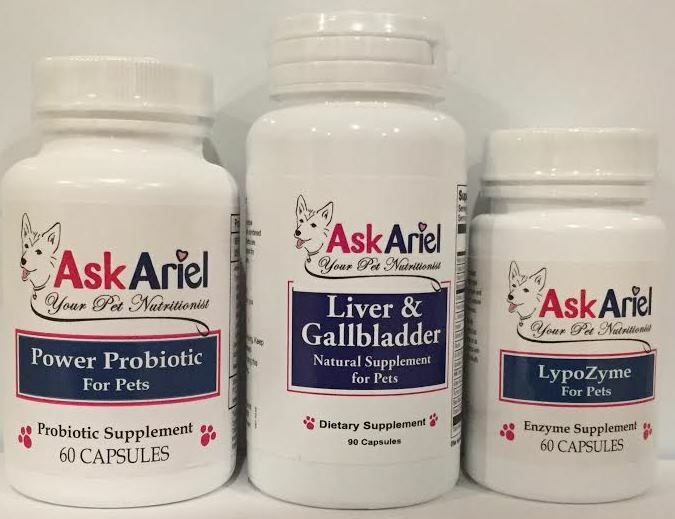 If you include your pet's diet on the order form at checkout, AskAriel will provide a FREE diet suggestion for your pet on the packing slip that comes with the product directions. You can only imagine our relief and happiness at hearing that news, and we have Ask Ariel to thank for helping Sprocket live a healthy life."